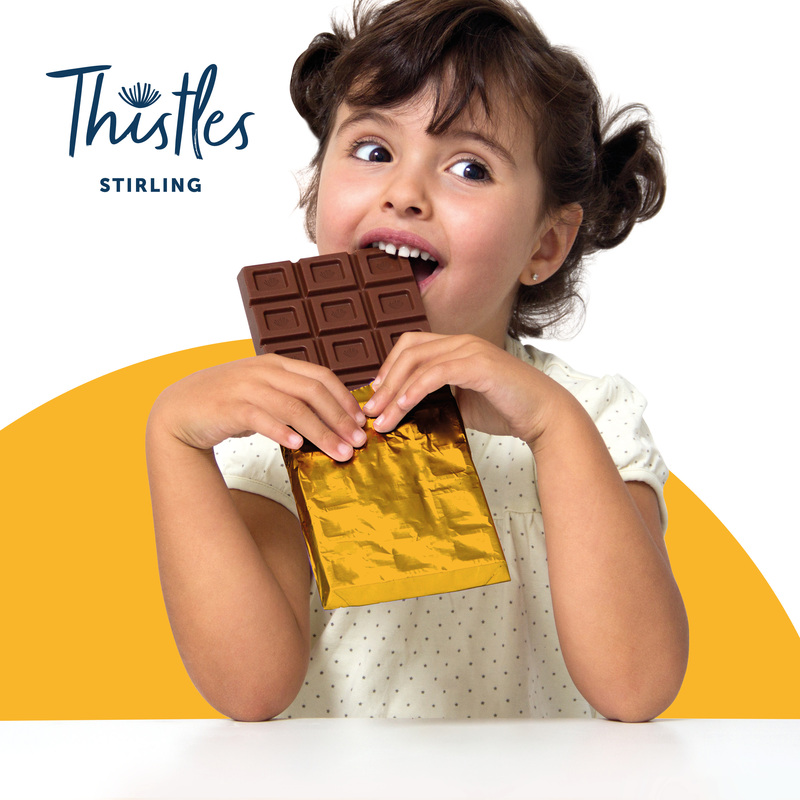 Thistles, Stirling will be turned into a chocolate wonderland starting tomorrow (Thursday 5th April) and running for five tantalisingly tasty days. Based on the yummiest book ever written, The Chocolate Factory by Roald Dahl, visit Thistles Chocolate Factory for five full days of FREE chocolatey goodness! Design your own chocolate wrapper and wrap it around some yummy chocolate for you to take home. Crazy Cookie Creation Station – the more toppings the better. Story Telling and Chunk the Chocolate Monster Wooden Spoon Craft. Sweetie Jar Decorating – PLUS fill your jar up on Thistles Chocolate Factory sweet bar. Create your own crafty ice-cream. What’s more, each day the fun also includes sweetie-inspired games including pass the sweet and musical choccie bumps.